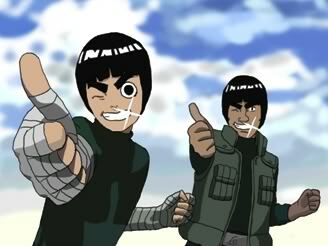 We can still use ninjutsu correct? As Zag says that he Removes his mask to show his full power then slips his hands in his leather cases and draws out the his Claw weapons and as if it where a second nature he forties them with chakra now making them extremely sharp and almost impossible to brake. Zag slips put of his jacket to show his curse seal and the tattoo connecting to it that almost glows. Next zag slides his right foot Even with his left foot then he moves his left foot forward two inches to lead them on making them think he is left handed . As Ryo walks off Zag says. See you in the last match Ryo. Zag begins laughing then Zag turns his whole body as His eyes glow light red and his curse seal and tattoo glow white as if they where white hot but before the change can happen Zag says. I now have a power better then your Four Tailed mode Ryo and my Bloodline control it beyond powerful so don't worry. As Zag finishes he retakes his stance and gets ready. Shiryu shouts "There are two other fighters." "Never turn your back on any of your opponents." "Also you are the only one with out a summon." Shiryu then goes silent. Myoshu grins as he sees the host of the kyuubi come. He knows that its power is great, but his sharingan is the perfect thing to make him get out of that extra powerful level of power. However, the other one is surprisingly powerful, his power, he could see was at a huge level, one that wouldn't be able to be taken down by the regular sharingan. Perhaps if he needed to, he would use the Mangekyo Sharingan. (read back a few posts he said that Ryo and Ave where going to do a 1v1 witch means we would have to do a 1v1 as well so is it a 4v4 again or a tiered?) Zag sees the Uchiha and says. You i am your opponent i have beaten Ryo three times before once he was in four tailed. So if you are worried about him take a double check of your self seeing as how i am a keto and if you know anything about us you should know we can kill you with out ever using a "ture" jutsu. As soon as Zag finishes he swings his right hand and throws three waves of low level chakra that can not be seen but by a Hyuuga. shiryu looks at the fighters. "Tell them its a damn free for all." Shiryu grins and he looks for left over Akatsuki members. He then jumps down and performs a fireball jutsu on a vase looking thing and ignites it. "Now this is officially started." He then turns to see the shinobi that are fired up to fight. "This is a free for all." "No killing only Knock out." "If more then one shinobi is still standing there will be a tie breaker." "There will be no chakra allowed in that part." "Only taijutsu and weaponry." "Dek shall be the referee." "Do not hold back but do not go over bored either." "Do not kill whatsoever." Myoshu laughed at the stupidity of this other genin. He actually thought it was a one on one after being told that it was a free for all. This Myoshu could just not stand for, stupidity, leading to misuse of power. Then, this person let out a strange attack, waves of chakra just by swinging his arm. Myoshu jumped up and flipped backwards as they went just under his back. "I think you are the one that should fear me. You should consider yourself lucky that I'm not using my... special powers." Abit cocky are we do you even know what the bloodline keto is? Also as for your curse mark i can counter that and if you have Mangekyou then i will just use my red keto but fine if you want to fight Ryo go ahead. Zag begins forming handseals at the speed of what most high jounin can do as he finish a zag forms a small blade of chakra and it slides though the air as it cuts Zagarath's hand it disappears then Zag slams his hand on the ground as a gorilla appears says nothing the gorilla sends chakra into his weapon as it changes into a scythe. Zags wounds still bleeding the pulls out a scroll and drops some blood onto it and the puppets pop out then with his claws still on Zag sends Chakra vains into them being made of soild almost invisible chakra they are extremely hard to brake. now in a more twisted voice Zag says. Why did you think i though this was a one vs one? Hmmmm? Are you a mind reader if so you know i am going to try and kill you. Zag is ready starting to lose control. Myoshu looked at this other Genin, smirking almost, but not quite. There was something about him, he was no Genin level ninja in power. Even the Kyuubi child was weaker than this one, he could see that just by looking at him. He needed to be careful, attack only when necessary, preserve chakra, not let anything touch him from this person and make all his attacks count. 'Mangekyo Sharingan is only if I need to, that thing causes blindness, it takes away the light of sight, so only use it if you need to. I should also remember that my curse seal needs to be used sparingly, too much chakra is wasted with its use, and if it goes wrong after it has been deactivated, there is too much danger in using it.' "So, Keto, you think you can beat me, you are probably mistaken. Also, nothing can stop the Mangekyou Sharingan, even if I did have it, nothing is more powerful than a Mangekyo Sharingan jutsu." 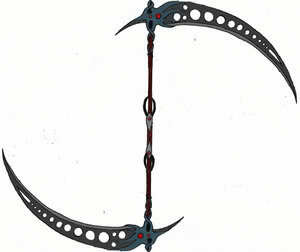 Myoshu touched the mark by his neck, he knew that its power was great, and that it was one of his trump cards. "I won't activate my powers unless I need to, also, there is more than just me to worry about." Ryouga saw this little fight and smirked at the two, he didn't really care for fighting toddlers that much and just wanted to take the two best to Akatsuki to become a next generation of Akatsuki. According to what the Uchiha said, the person claiming to be a Keto had great power, something that he would want to take to Akatsuki. He also knew that should he need it, his Samehada was safe in a summoning scroll on his person, so it would be the one thing that could easily turn any battle around. Shiryu looks interested. "Damn I sense another rivalry coming." "By the way you can start hitting each other." Shiryu does the body flame and slowly disappears back to his seat. Myoshu saw him come closer, he didn't fear, he wasn't scared. In fact, he was more surprised that he sounded so confident. Myoshu looked at this ignorant person with pure delight as he was sounding so confident and proud. Somemething that in the ninja world, among other things, kills people. 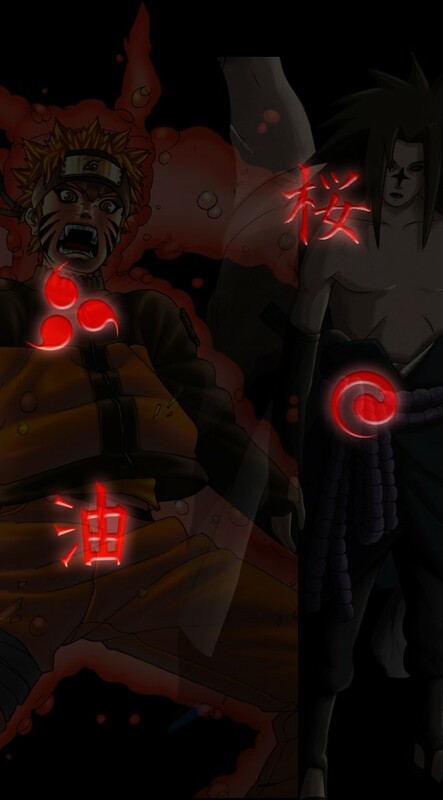 Myoshu had his sharingan activated and was going to use jutsu sparingly, so this fight would be in his favor for the long-run. At the same time, Ryouga, the Akatsuki member looked at the kyuubi, he could sense his swords pleasure, even sealed away at the taste of this person's chakra. "You, kid, what is your name and ability?" Ryouga, one of the two Akatsuki here to take away a couple unknowing people had his eyes set on this person. He was looking at, and pointing at Ryoma to answer. He was ready to hurt this person to nearly the point of death when necessary, so he would just need to wait. Uchiha. My friend Ryo will not bother us. For now just fight me if the forth person decides to get in our way i my summon will fight him. Now lets get this fight run way. Zag moves his right finger just enough so that his opponent can see it knowing the Uchiha powers from his studies By time this fight was started his opponent would think he had him figured out. As Zag moves his finger his puppet far to the right draws his sword and dashes forward with a speed only Zag and anyone else with a Donjutsu that tracks movement can see.